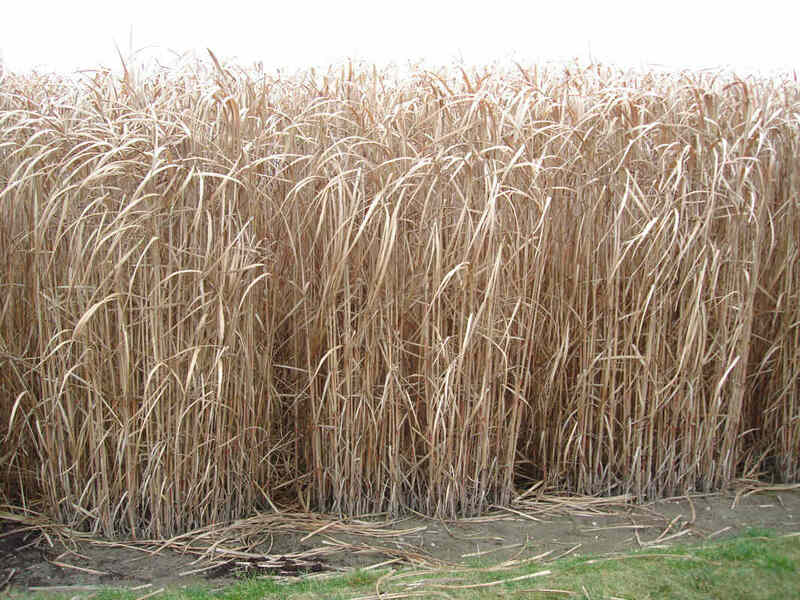 Miscanthus has been lauded as a dynamic high potential biomass crop for some time now due to its high yields, low input requirements and perennial nature. Miscanthus is commonly used as a biomass fuel to produce heat and electricity through combustion, but studies have found that miscanthus can produce similar biogas yields to maize when harvested at certain times of the year. Miscanthus is a C4 grass closely related to maize and sugarcane, it can grow to heights of three metres in a single growing season. However, high establishment costs have impeded the popularity of the crop. High establishment costs of miscanthus are as a result of the sterile nature of the crop, which means that miscanthus cannot be propagated from seed and instead must be propagated from vegetative material. The vegetative material commonly used is taken from the root structure known as rhizomes; rhizome harvesting is a laborious process and when combined with low multiplication rates, results in a high cost for miscanthus rhizomes. The current figure based on Irish figures is €1,900 ha for rhizomes. 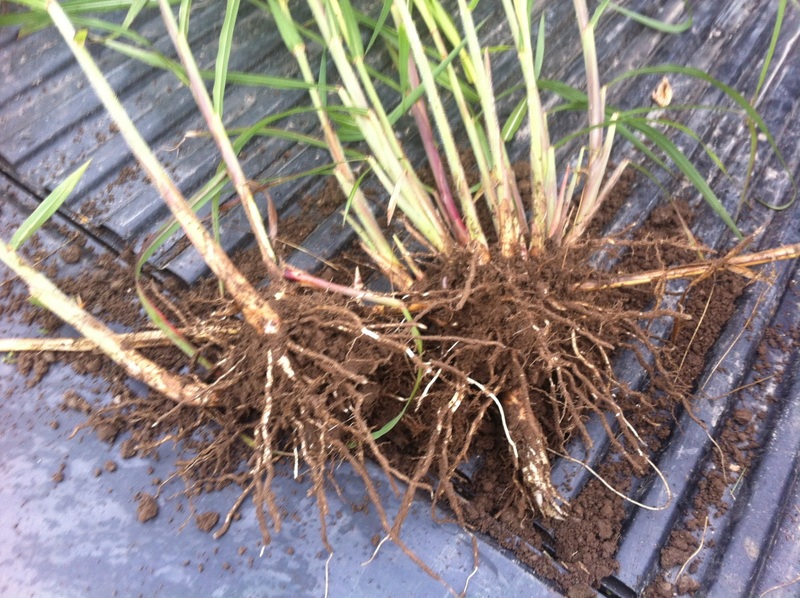 Research conducted in Teagasc Oak Park Carlow Ireland, suggests that there may be a cost effective of method of propagating miscanthus by using the stem as the vegetative material rather than having to dig up expensive rhizomes. The system has been proven in a field setting over two growing seasons and plants have been shown to be perennial. A prototype planter suitable for commercial up scaling has been developed to sow stem segments of miscanthus. Initial costs are predicted at €130 ha for plant material. The image below shows the initial stem that was planted in a field setting and the shoots, roots, and rhizome developed by the stem at the end of the first growing season. Switching from maize to miscanthus as a feedstock for anaerobic digestion plants would increase profitability and boost the GHG abatement credentials of the systems. Miscanthus is a perennial crop which would provide a harvest every year once established for 20 years in a row without having to be replanted compared to maize which is replanted every year. This would provide an obvious economic saving as well as allowing carbon sequestration in the undisturbed soil. There would be further GHG savings from the reduced diesel consumption required for the single planting as opposed to carrying out heavy seedbed cultivation each year for maize. Miscanthus harvested as an AD feedstock would also alleviate soil compaction problems associated with maize production through an earlier harvest in more favourable conditions. Miscanthus is a nutrient efficient crop due to nutrient cycling. With the onset of senescence nutrients in the stem are transferred back to the rhizome and over-wintered for the following year’s growth. However the optimum date to harvest biomass to produce biogas is before senescence. This would mean that a significant proportion of the plants nutrient stores would be removed which would need to be replaced. Fertiliser in the form of digestate generated from a biogas plant could be land spread to bridge nutrient deficiencies. However additional more readily available chemical N fertiliser may have to be applied. Some work at Oak Park on September harvested miscanthus crops has seen significant responses from a range of N application rates. With dwindling subsidies to support anaerobic digestion finding a low cost perennial high yielding feedstock could be key to ensuring economic viability. John O’Loughlin is a researcher affiliated with UCD and Teagasc based at a research station Oak Park, Carlow (Ireland) and currently pursuing PhD on the agronomy of energy crop miscanthus. With the help of two brilliant supervisors Dr. John Finnan (Teagasc) and Dr. Kevin McDonnell (UCD) and a fantastic team at Oak Park, he has developed some novel cost saving techniques for the propagation of miscanthus x giganteus. Tagged Anaerobic digestion, Biogas, Biomass, C4 Grass, Crop, digestate, Elephant Grass, Energy crop, Miscanthus, Nutrient, Planter. Bookmark the permalink.